The 'heartbroken' family of a teenager who died after a crash in Barnsley today paid tribute to their 'bright, caring and beautiful girl'. Paige Bateman, who was a 'popular' student at Barnsley Academy, was killed in a collision involving a lorry on Doncaster Road on Friday afternoon. Her family told how the 14-year-old, from Barnsley, was 'excelling' at school and had her heart set on one day becoming a midwife and working alongside her twin sister, Nina. Paige's mother Hayley Creech and her immediate family said: "We are absolutely devastated by what has happened and words cannot describe how much Paige meant to all of her family and friends. Paige was a bright, caring and beautiful girl who loved her family so much. "Paige has a twin, Nina, and they have a younger sister Emily and little brother Parker. Paige was a popular pupil at Barnsley Academy, and was much loved by all her school friends. Her favourite subject was history and she was excelling in all her subjects. "Paige talked about wanting to be a midwife when she grew up and working alongside her sister Nina, and she was looking forward to the arrival of a baby cousin in September. “Flowers are currently being placed by the sign post next to where the incident happened and we are grateful to everyone who has shown their support throughout this heart-breaking time." A crowdfunding page set up to pay for Paige's funeral has raised more than £2,600. 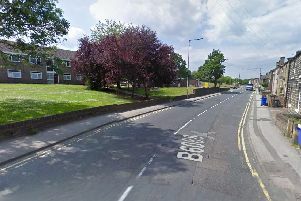 Emergency services were called to the A635 Doncaster Road, near to its junctions with Heathfield and Vaal Street, just after 3pm on Friday, following a collision involving a green Scania lorry and the teenager. Witnesses or anyone with dash-cam footage are asked to call police on 101, quoting incident 550 of April 27.